The Wheelcare Superlight 2 FWD electric scooter is a strong and lightweight compact scooter. It can be quickly and easily disassembled into 4 pieces for transporting or storage. 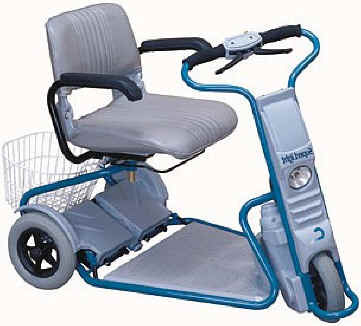 The Superlight 2 FWD is fun and simple to operate, and will provide you with all your mobility needs. Total Weight With Batteries: 87 Lbs.